The official state map of Oklahoma doesn’t list the population of Alfalfa. But the small southwestern Oklahoma community is big in some numbers. Alfalfa, First has a Sunday School enrollment of 62, and an average attendance of around 35. Yet members of the church have already purchased 54 bricks for the 60,000- square-foot plaza adjacent to the new Falls Creek Tabernacle. Linda didn’t give up easily when members returned the forms she gave them saying they didn’t know what to inscribe on the bricks. Linda said the goal is for every church member to have a brick, and she and Max have been going to families who are still members of the church, but haven’t been attending lately. Megli said, in addition to church members, some bricks are dedicated to former pastors and music directors. While Alfalfa, First may have more bricks per member than most churches, every Southern Baptist church in the state will be represented in the plaza. All of the 1,741 churches and missions that make up the Baptist General Convention of Oklahoma have been sent a brick specially inscribed with the church’s name and city, and will eventually be placed in the tabernacle plaza. 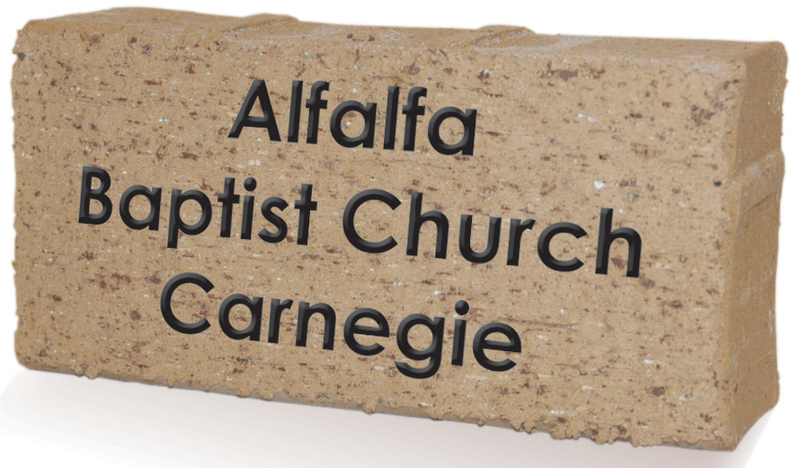 Churches are asked to display the brick until the week of May 14, when it is to be returned to Falls Creek to be organized for the dedication service of the tabernacle May 26. Churches are asked to lead members to dedicate the brick, asking God to speak to the hearts of those who will see it, stand on it and walk past it. Members will also be allowed to purchase additional bricks with their own inscriptions. Since the plaza will be the primary gathering spot prior to entering the tabernacle, it will be used by tens of thousands of students each year. 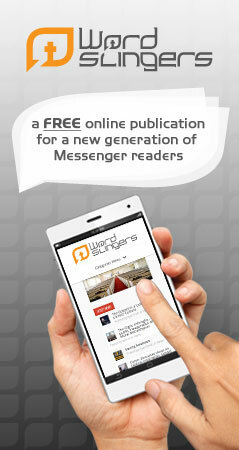 RITE OF PASSAGE: Jesus Loves Me?